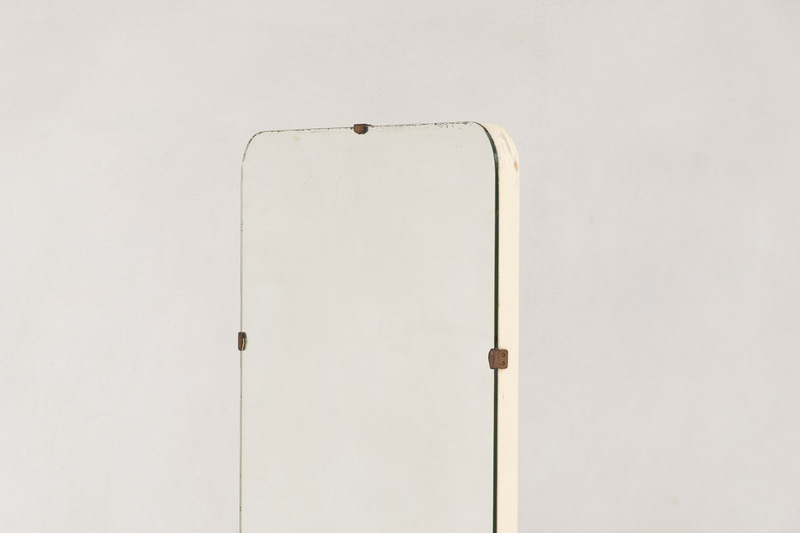 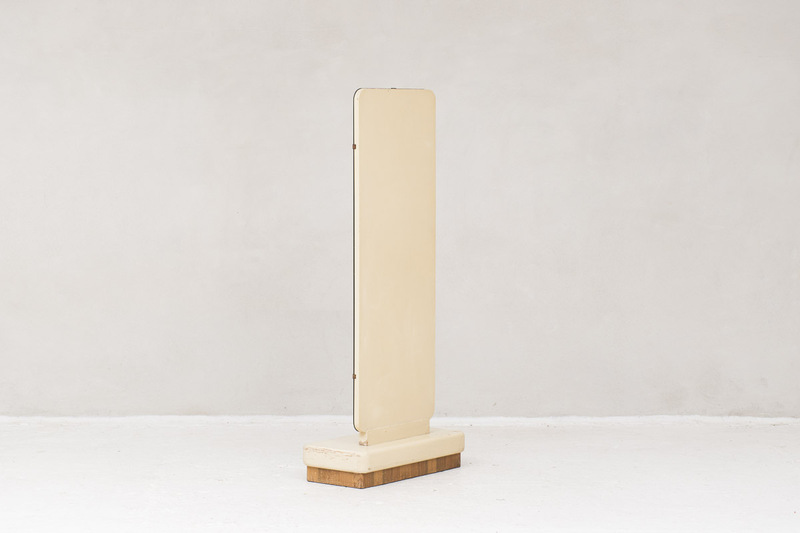 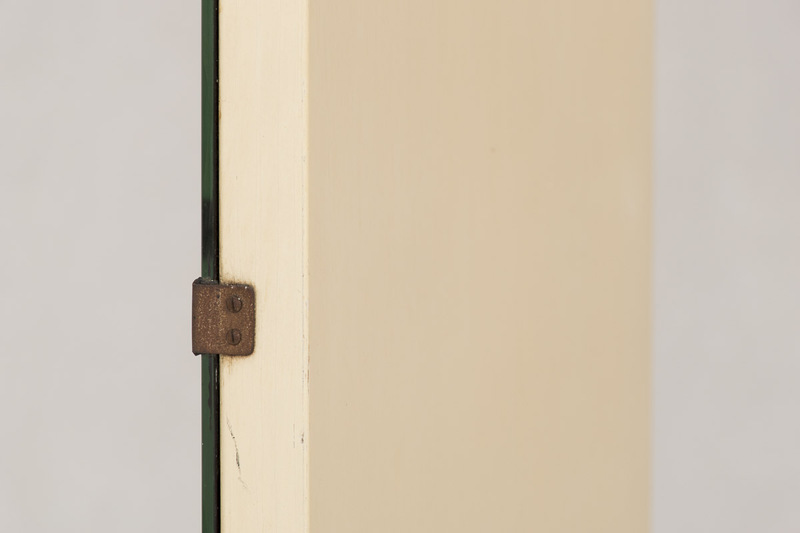 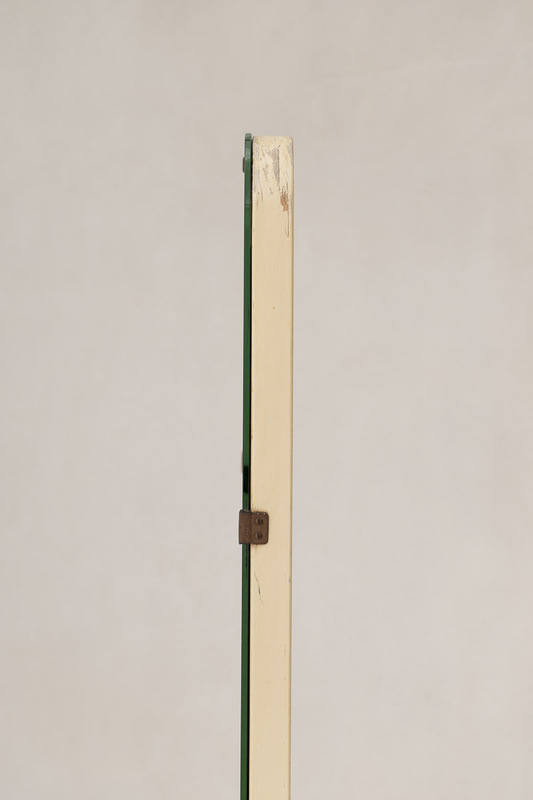 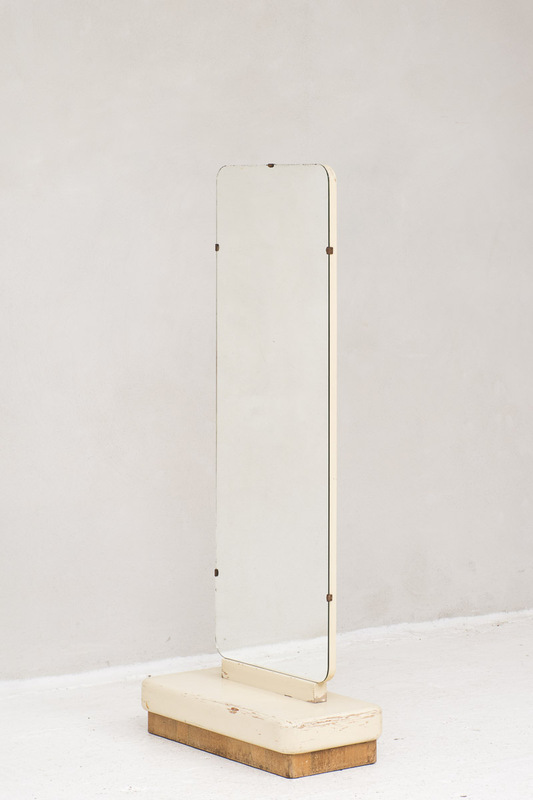 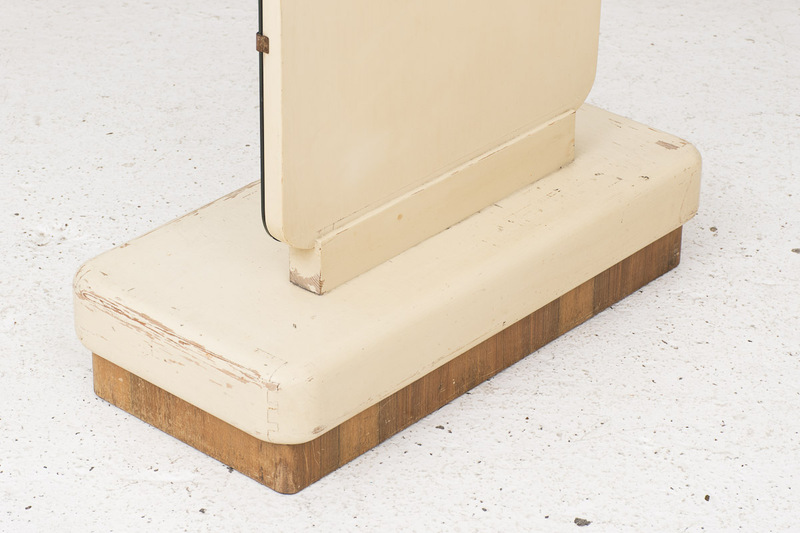 Large standing mirror produced around 1970. 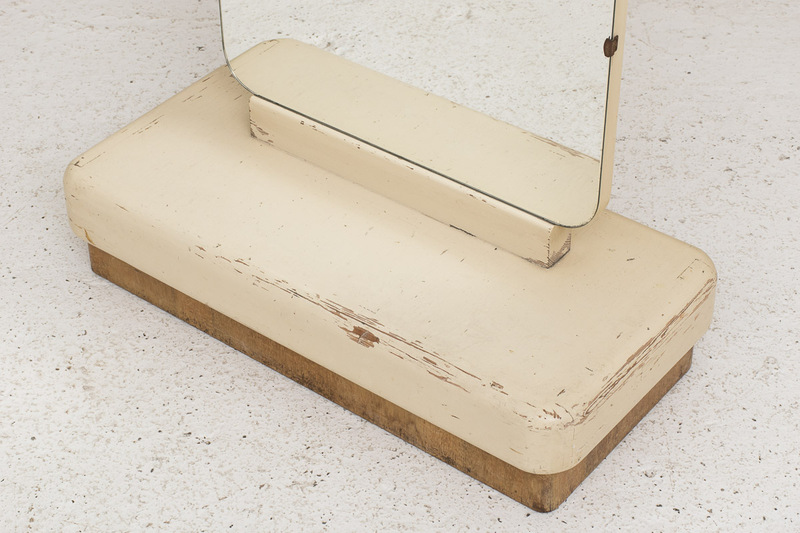 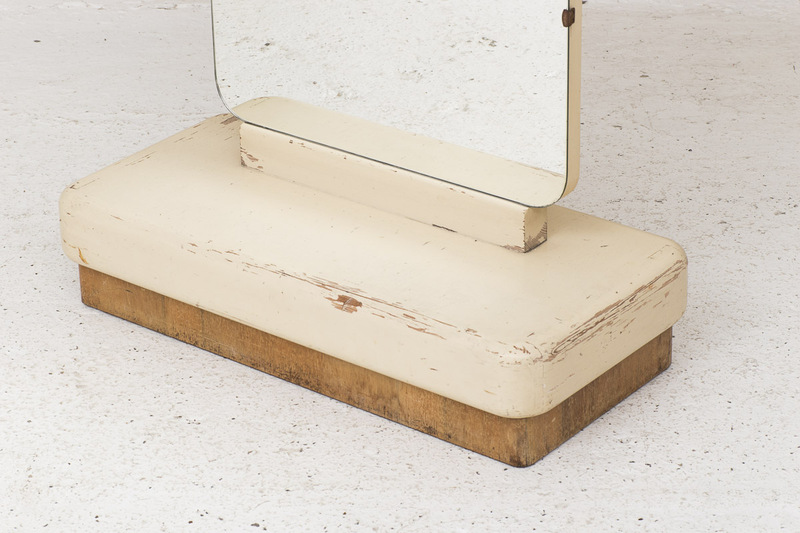 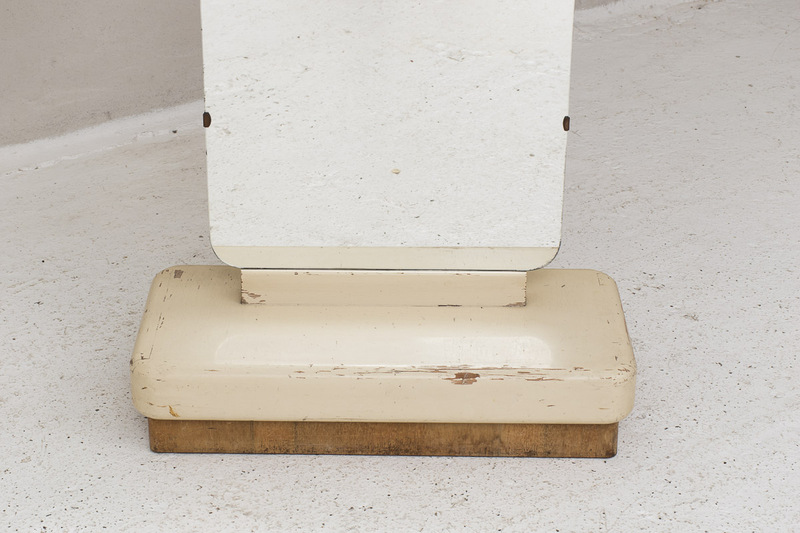 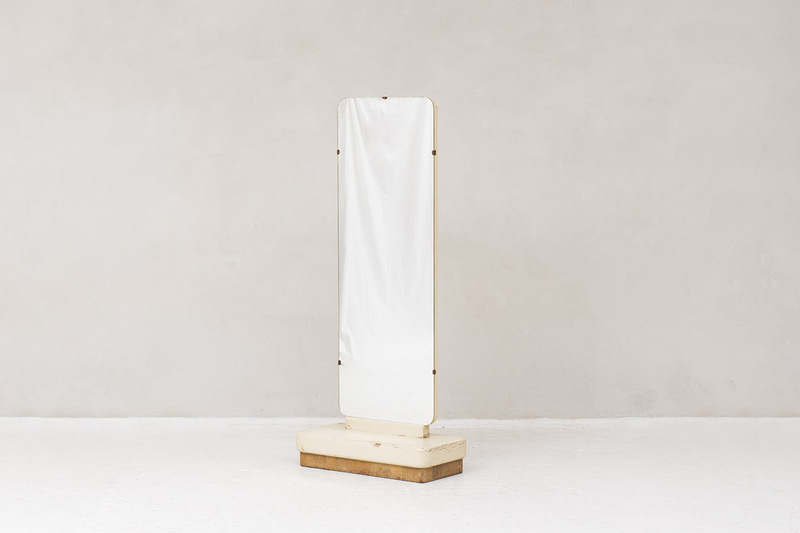 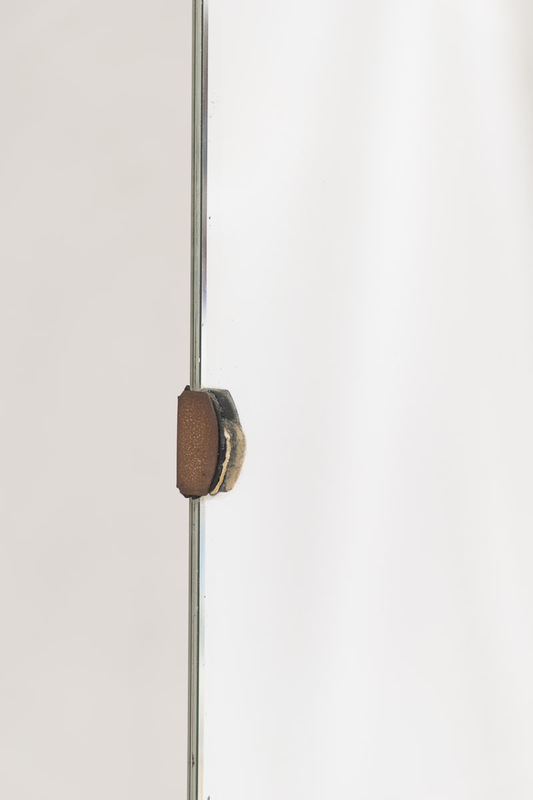 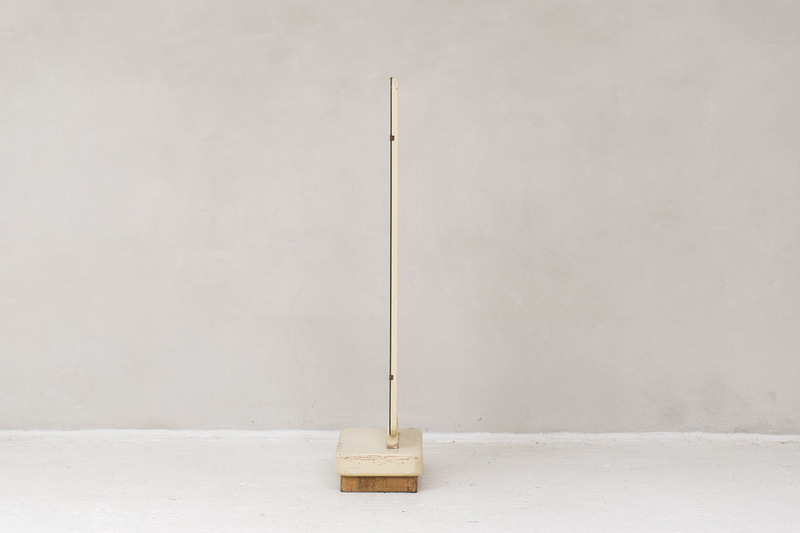 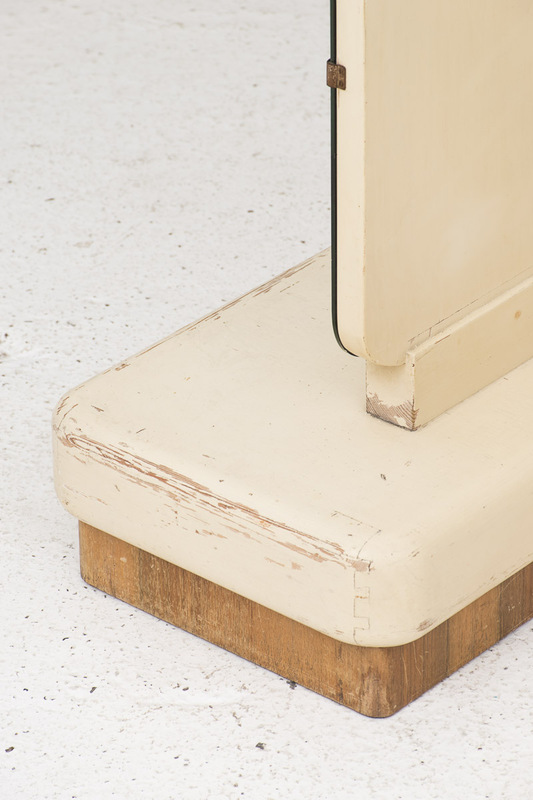 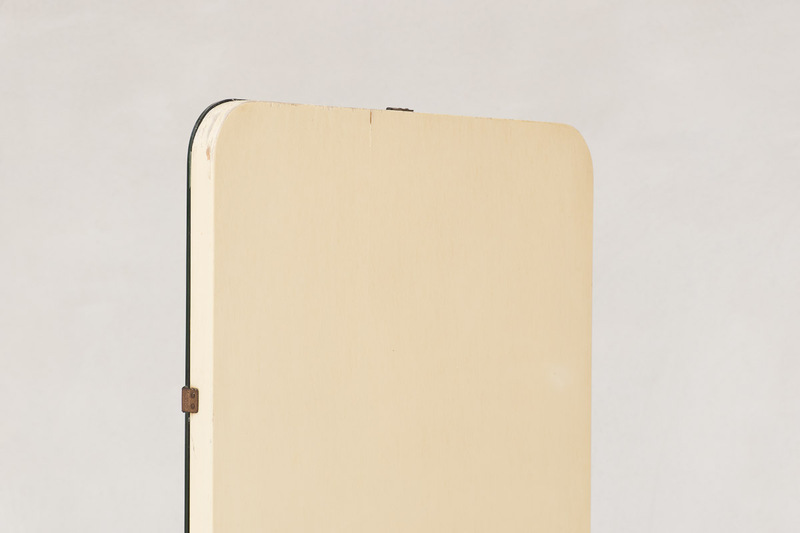 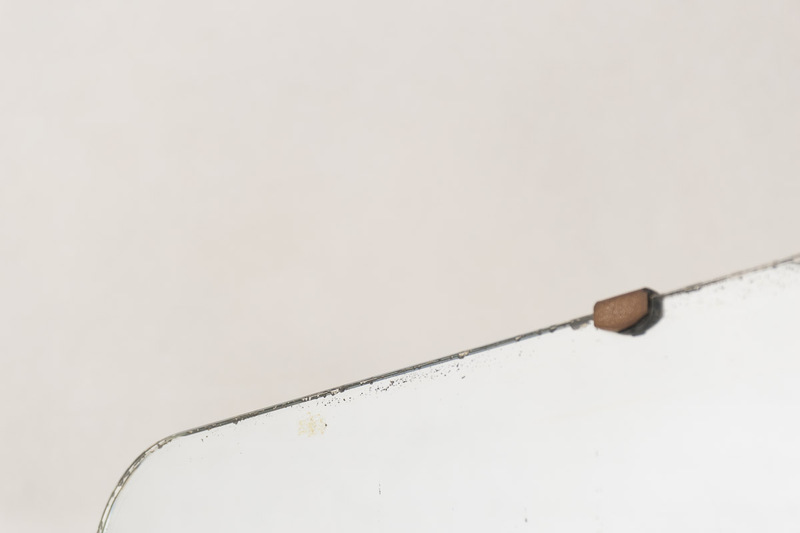 The mirror stands on an off- white wooden base and is attached with small metal grips. 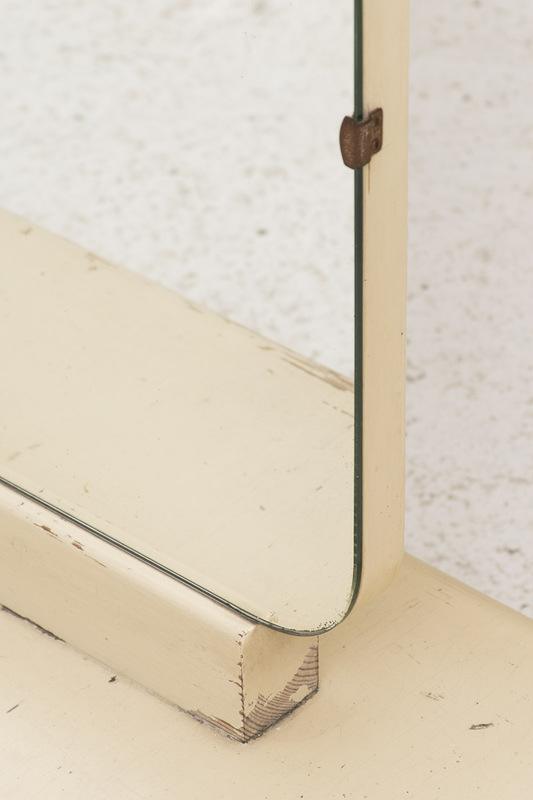 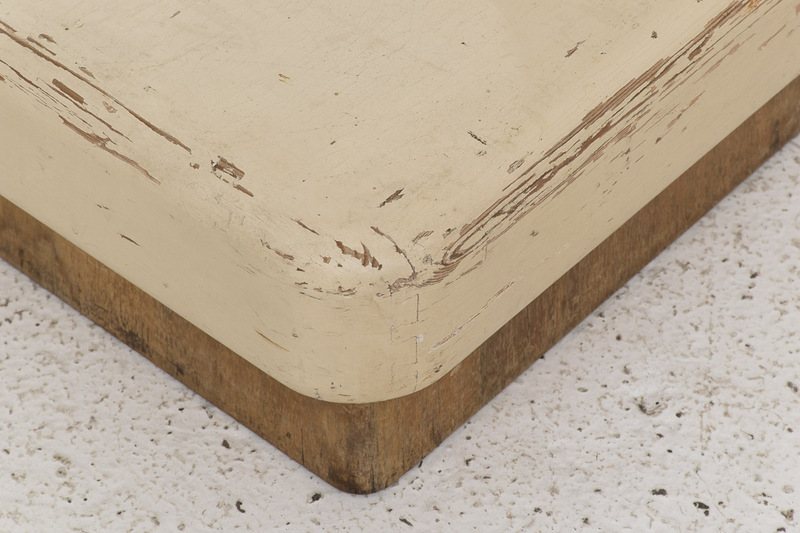 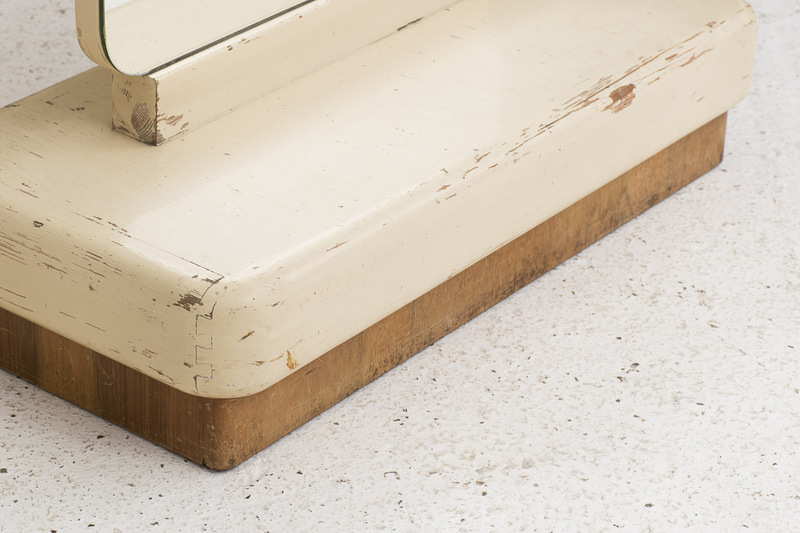 The curved corners give the piece a soft look and feel. 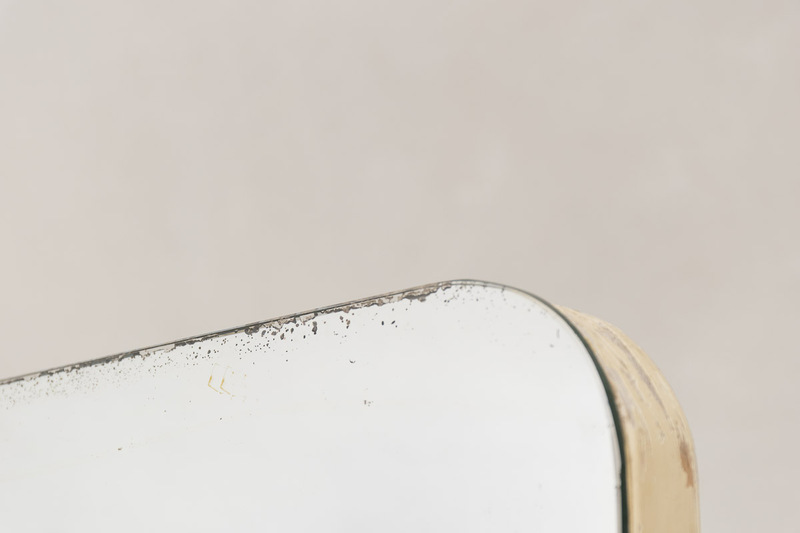 Wear visible from a previous life.